The Second Awakening a total art work at the Alatori market square in the centre of Lahti, was inaugurated on Thursday the 24th of September 2015. Andersson’s idea won the competition, arranged by the City of Lahti, how to artistically plan a park built on top of the new parking area below the square. His idea uses layers from the park’s history, for example the park’s geometrical layout in the 1950ties, with a short pergola on one side. Andersson wanted to use a classisistic approach, mainly because nobody wants to use that style anymore, but also to explore the use of classical geometry as a base for the work. 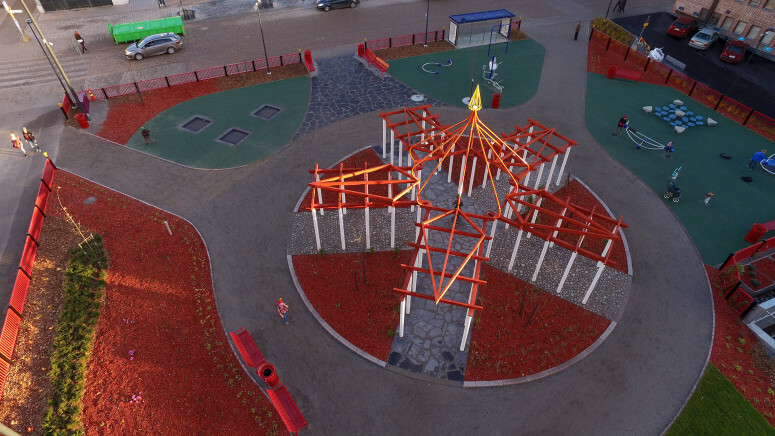 In the centre of the new park Andersson planned a pergola with five openings, with a cupola shaped structure in the centre. 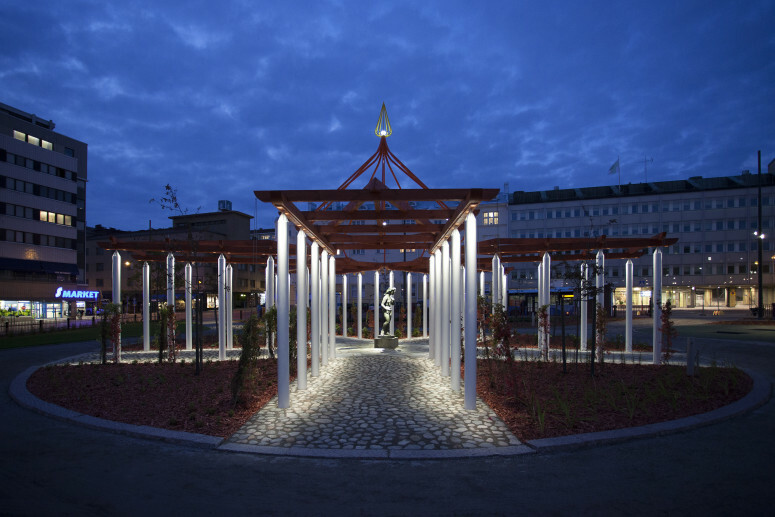 The main motive for the design of the pergola is the light flame, a motive reappearing in Andersson’s art every now and then and also a reference to Gaston Bachelard’s book The Flame of a Candle. 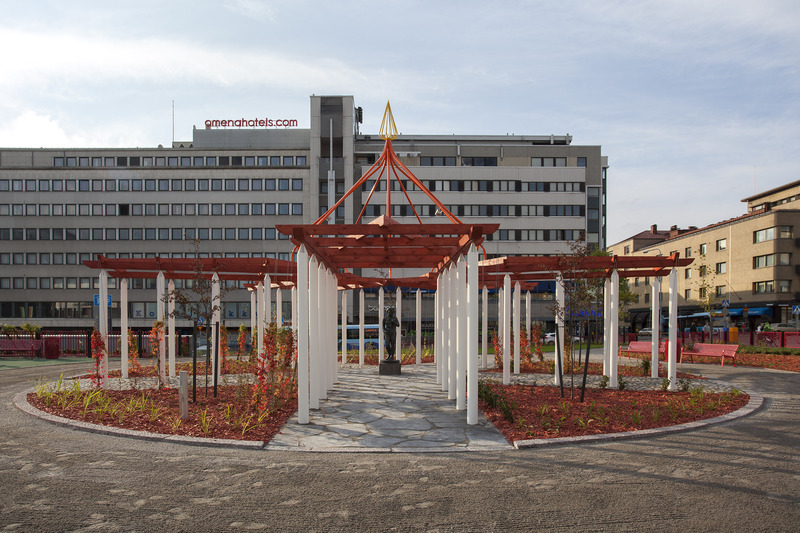 The pergola continues Andersson’s interest in architectural structures falling outside the late modernist architectural discussion, like grill shelters, saunas, figurative architecture etc. 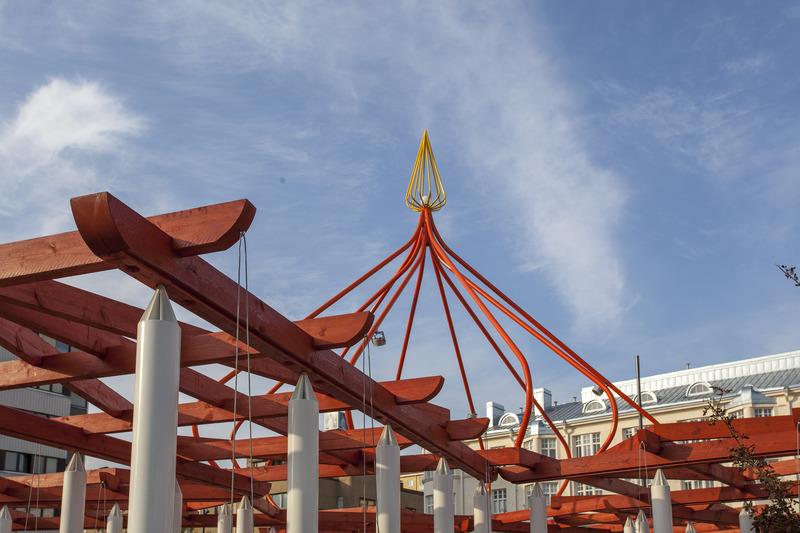 The pergola connects to a very early way of making shelters with materials from nature. It creates a certain kind of space for meditation, where the sounds, smells and scents from the immediate surrounding are also present. 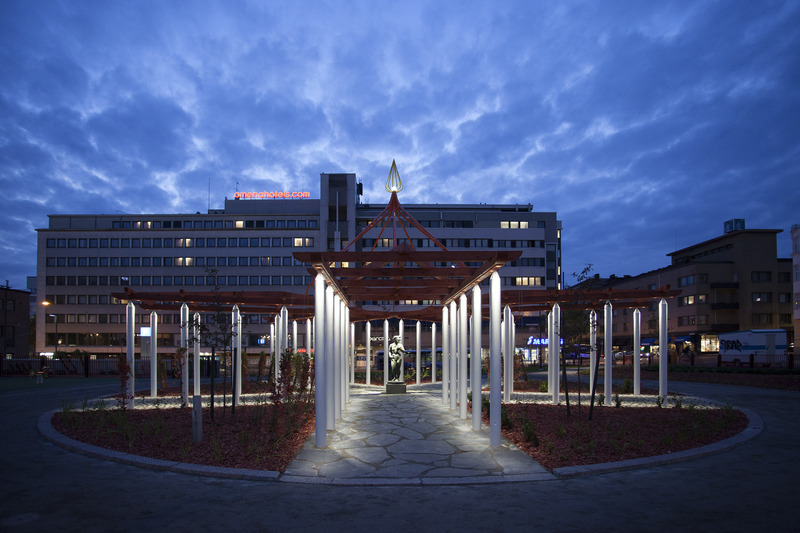 In the long dark winter evenings the pergola also functions as a light work, a lantern for hope. 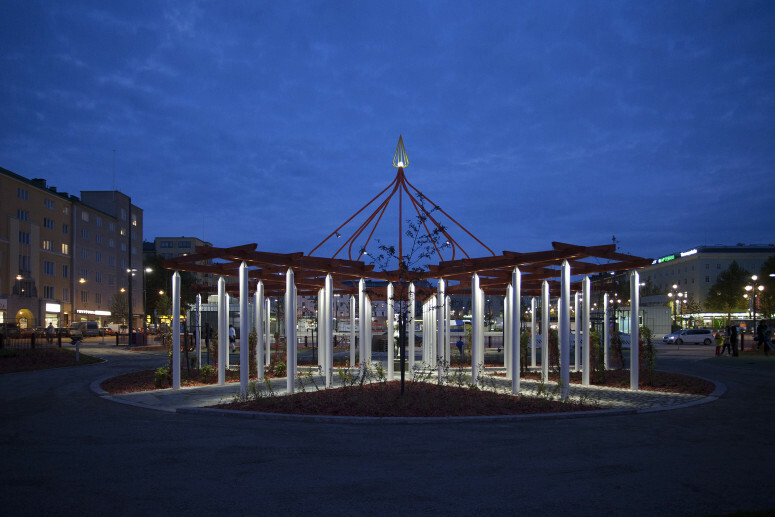 The pergola has 50 white metal pillars lit with two LED lights each. 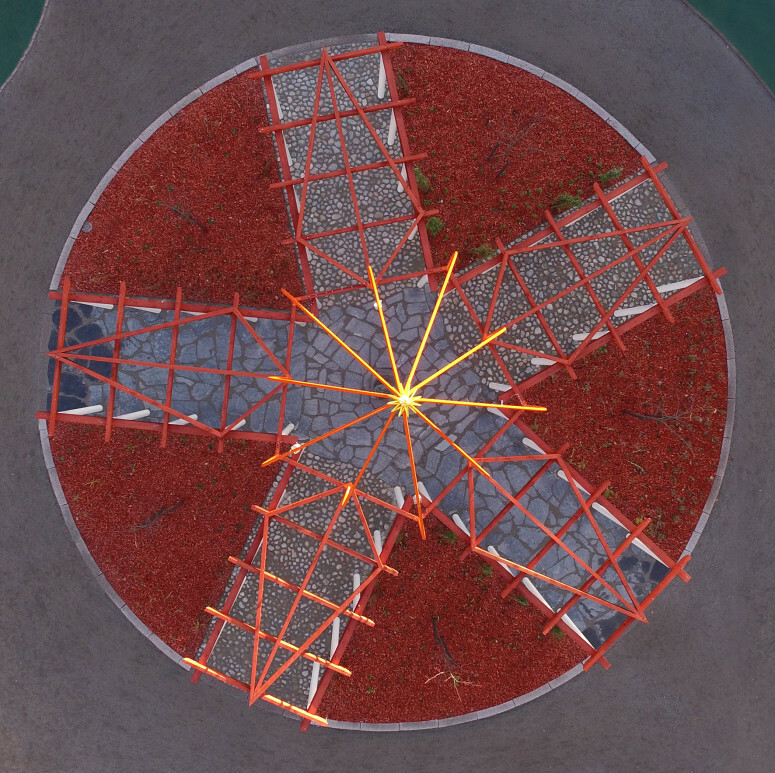 On top of them are wooden structures which meet in the centre and forms the base for the cupola. 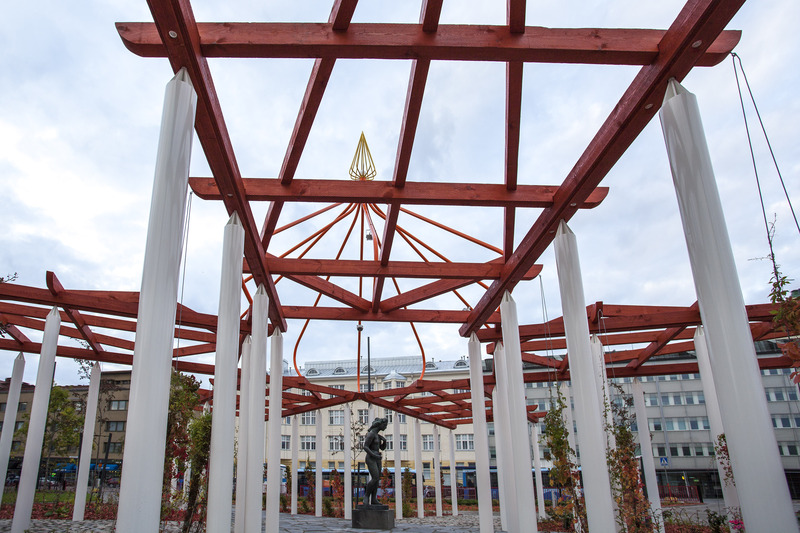 Under the cupola Andersson placed a sculpture, Marjatta, by Sakari Tohka (1952). In the 1950ties a lying figure by Tohka had a permanent place in the park, but to symbolise the new awakening, the Art Museum found a standing figure by the same artist. 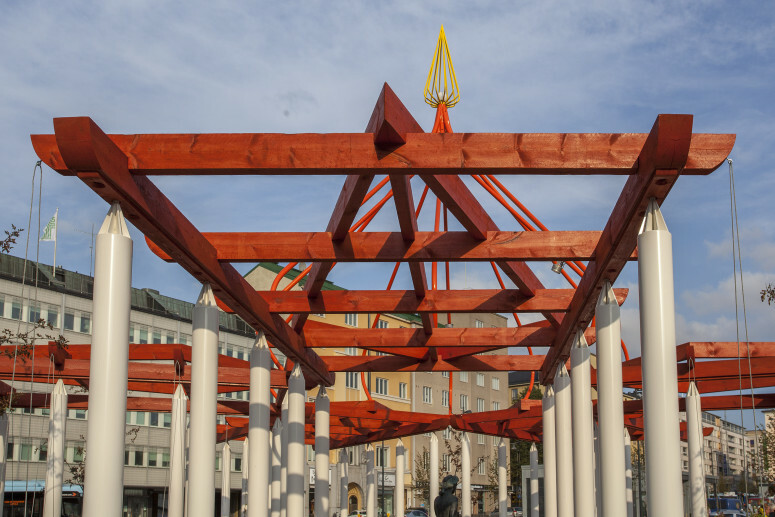 But the use of Tohka’s sculpture is also a personal appreciation for Tohka, who made facade sculptures for one of Andersson’s favourite buildings in Helsinki, Lastenlinna. 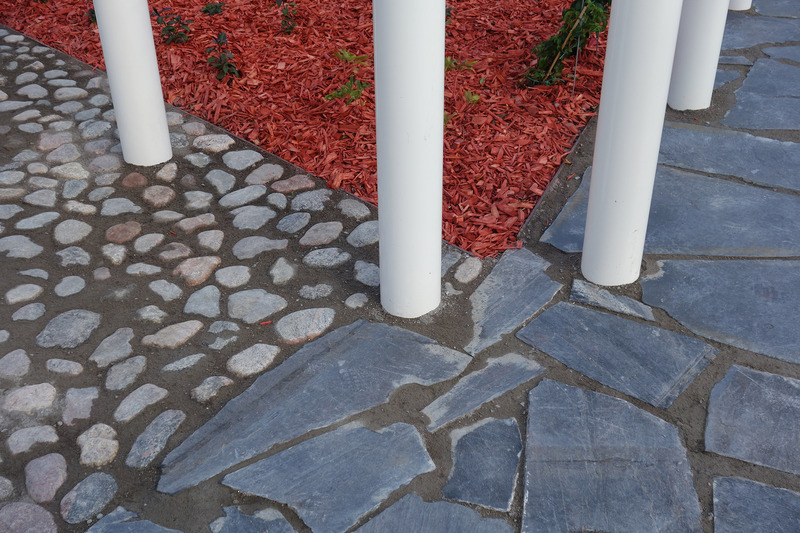 For the floor in the pergola, original cobblestones from one of the first streets in Lahti, Marolankatu, are used along with grey slate used on the earlier walls in the park. 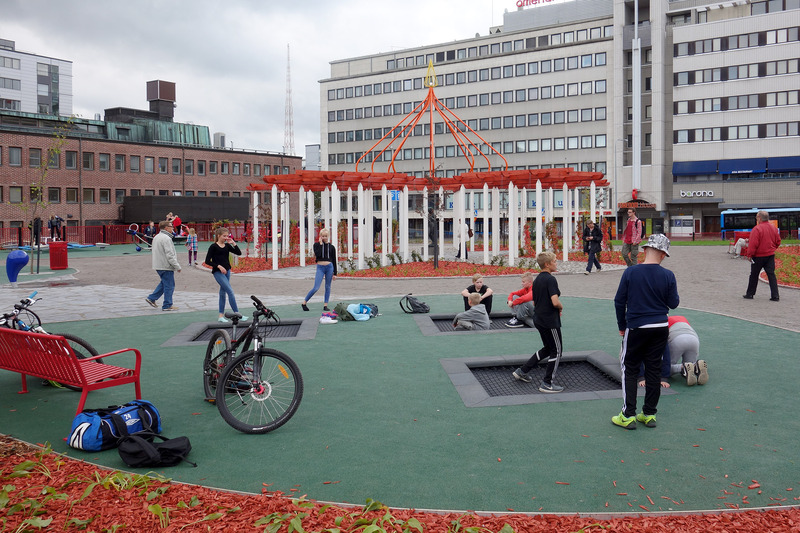 Around the pergola are areas for picnics, parkour playground structures, training equipments for adults, made to make this park an exciting meeting place for the inhabitants in Lahti as well as visitors. The work has been realized in a collaborative group with members from the Lahti environmental department, city planning department and Lahti Art Museum. 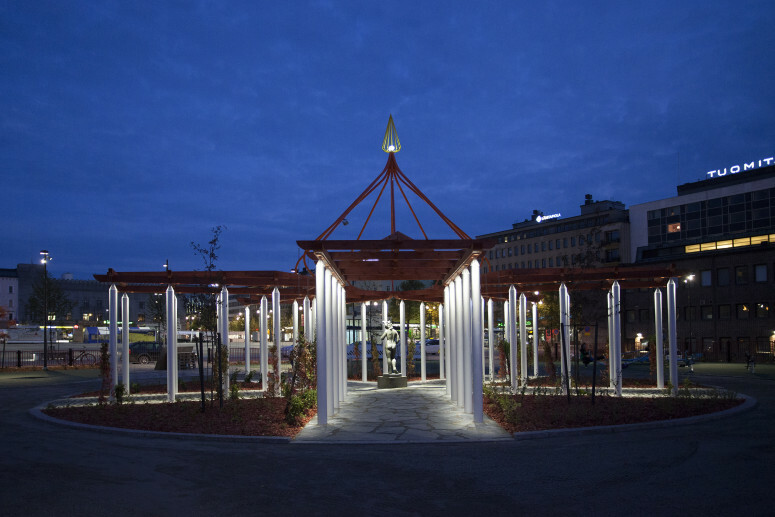 The lights have been planned by architect Marjut Kauppinen.